These kittens had a very rough start to life, but little did they know that their fight to survive was only beginning. The kittens had been taken to a shelter in Virginia, but these weren’t regular kittens. They had been born with abnormalities in both of their eyes, and in order to thrive, they would need surgeries. One kitten, Bop, needed a lot of care, and so a woman named Jen came to take him home. 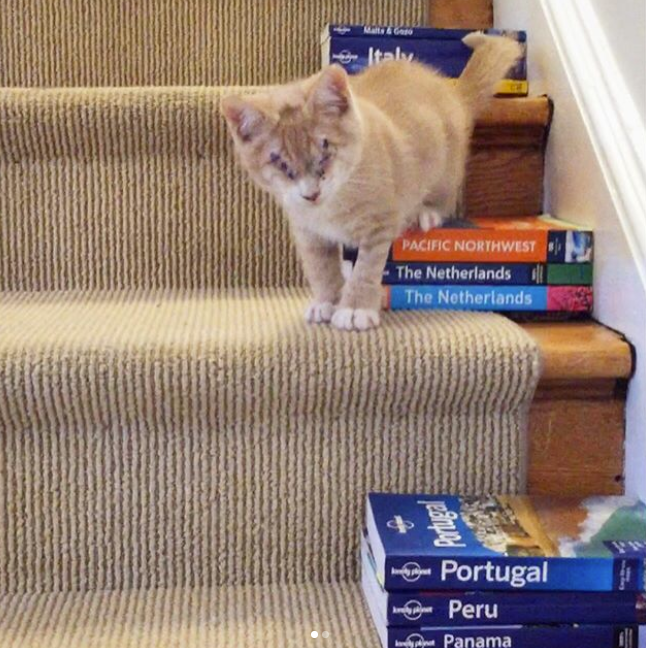 He had just had both of his eyes removed, but he needed to be taught how to navigate the world without them. 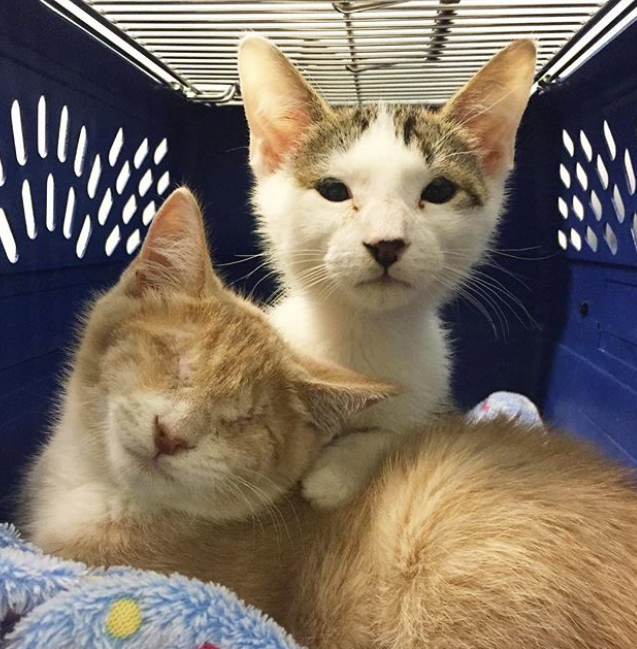 His brother, Boop, was going to be put up for adoption and remained at the shelter…but even as she drove away, she couldn’t stop thinking about Bop’s brother. Jen helped Bop to learn to move while using his other senses. He meows at his humans so that they will answer, letting him know where they are. He uses his whiskers to avoid running into things. He listens to his cat siblings and follow them around. When he was small, Jen even made a custom staircase made of books so that he could reach each step! Later, she called the shelter and asked if she could take Boop too…they said yes! Boop needed an eye surgery as well. He’d been born with underdeveloped eyelids, but after raising the money, he was able to get them fixed! 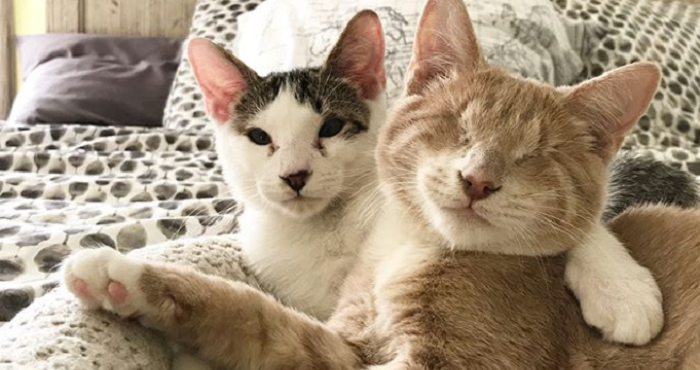 The brothers are inseparable now, and even though their eyesight isn’t the best… They don’t seem to mind as long as they are together!